The large hexagonal base prevents the cylinder from rolling. The base is equipped with three knobs which increase its stability. The cylinders have uniform wall thickness over the entire measurement range, so wedge errors are avoided. 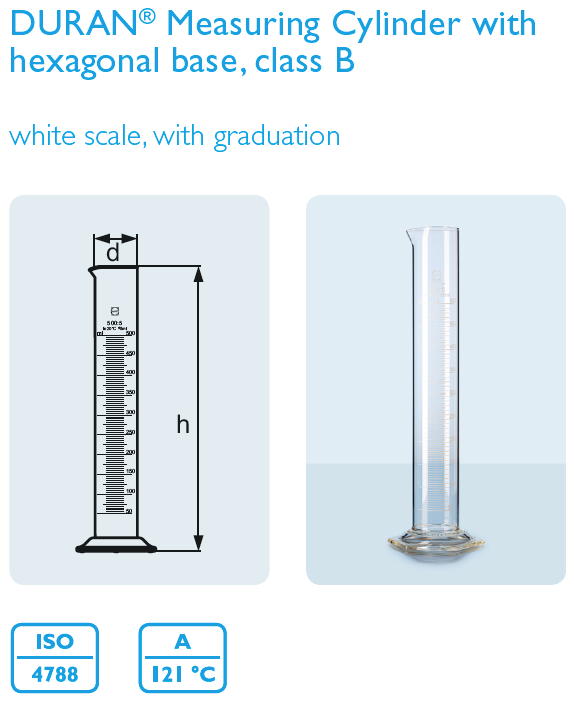 Calibration is based on the poured in volume (“In”) at a +20 °C reference temperature. 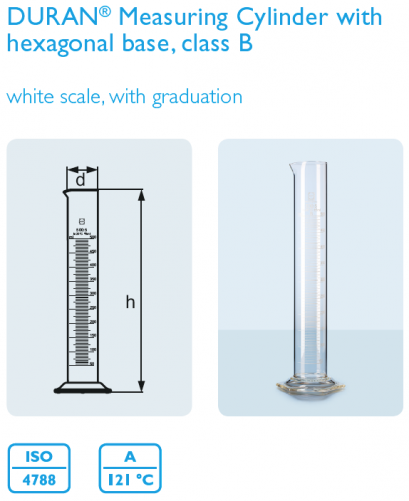 Measuring cylinder accuracy limits conform to DIN and ISO standards (class B).